I love decorating for Christmas. I wasn't always the biggest fan of lugging what seemed like thousands of boxes up from my mom's basement when I was kid to decorate all day long, but now that I have my own home it's a little different. 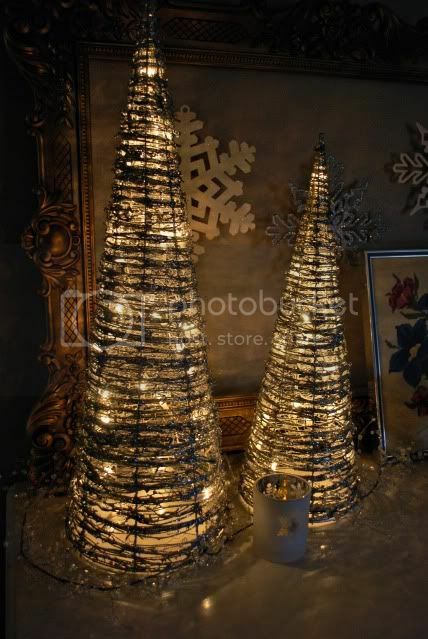 I do love the holidays and enjoy putting my own decorations up. 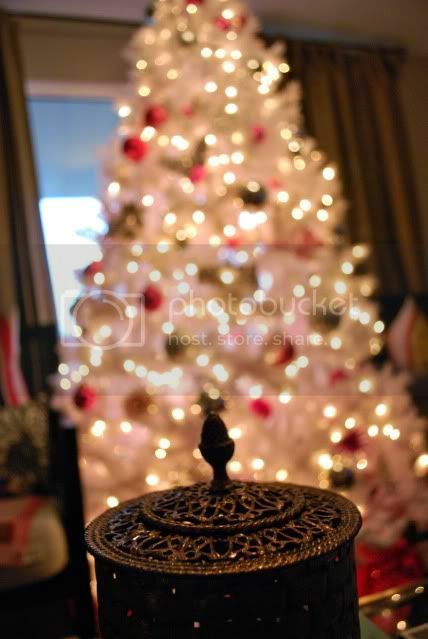 Last year I finally ordered my dream white Christmas tree and changed to pink, silver, white, and gold goodies. It's perfectly girly and I appreciate Dave's tolerance. I've said it many times before, but he truly is the best there is. For awhile now, David and I have made a little tradition of watching Elf while we decorate the tree. I adore that movie and can't watch the whole thing without crying like a baby. I just love Buddy the Elf! I don't go quite as Christmas-crazy as my mom does but I can finally admit to loving to decorate! Here are a couple of shots from this year's get-up. Have you decorated yet? I'd love to see it! Post a link and consider me a guest in your home. LOVE you stockings ! We just finished decorating yesterday, it's so much fun. I have Christmas decorating envy! 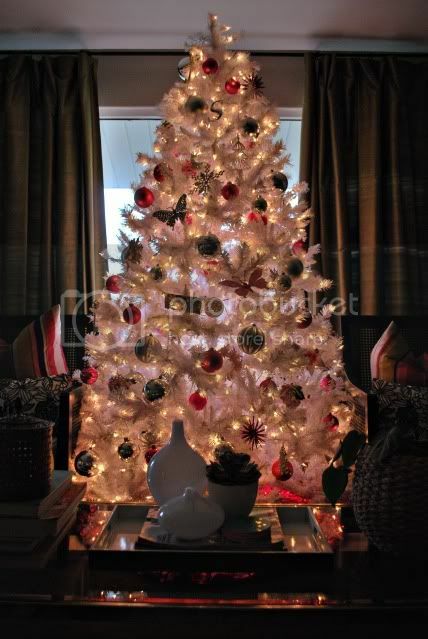 the white tree suits your home perfectly. beautiful. So adorable! Love the white tree! I've always been a real tree kind-of-girl, but you may have just won me over with the white. Good job! I went simple this year. As we're planning a cross country move, I haven't had time for much else, and I have to say, the less I have to pull out (or pack up), the better. 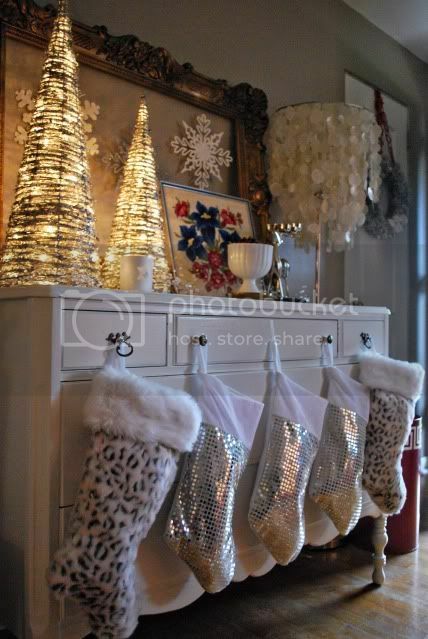 I love everything especially the stockings. I now want a white tree. The tree looks amazing Joi!!!!! I LOVE LOVE LOVE your decorations Joi! Thinking we have pretty similar tastes!! 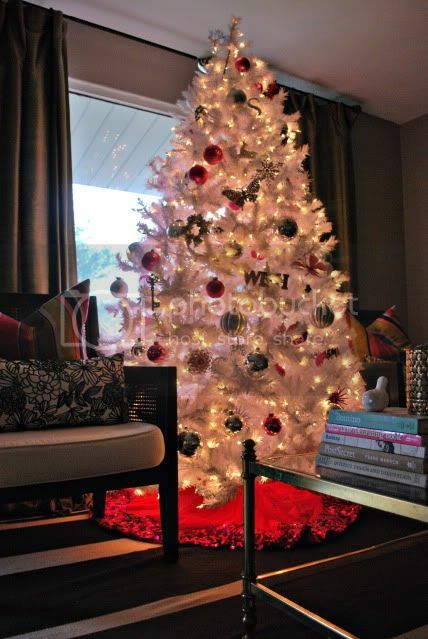 Love the white tree looks so lovely in your home !!! Your tree is beautiful! I got a white tree this year and I love it! The ornaments just really stand out so much more against the white! Hope your feeling well! Boys are so much fun! The tree is just so 'you.' It's so pretty, but also modern and fun! And it just fits in your room so perfectly. 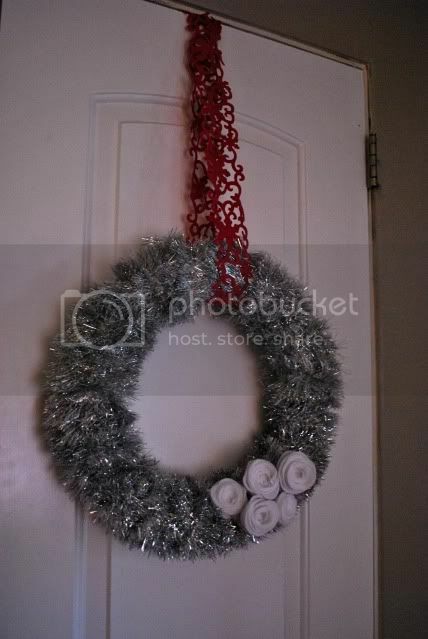 I'm also a huge fan of the tinsel garland wreath. I think I need to try to make one for myself. 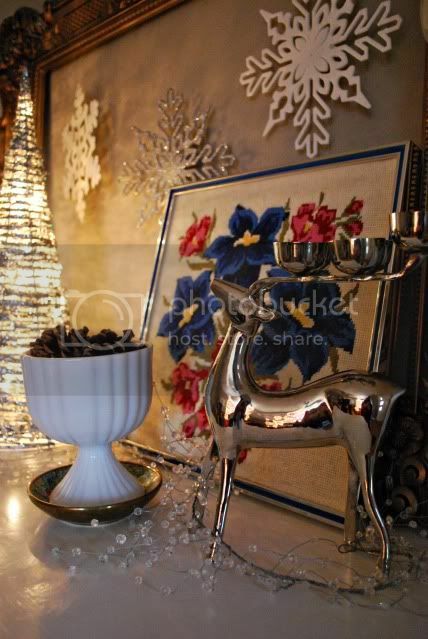 It looks SO different from our Christmas decorations, but it's gorgeous and totally you! 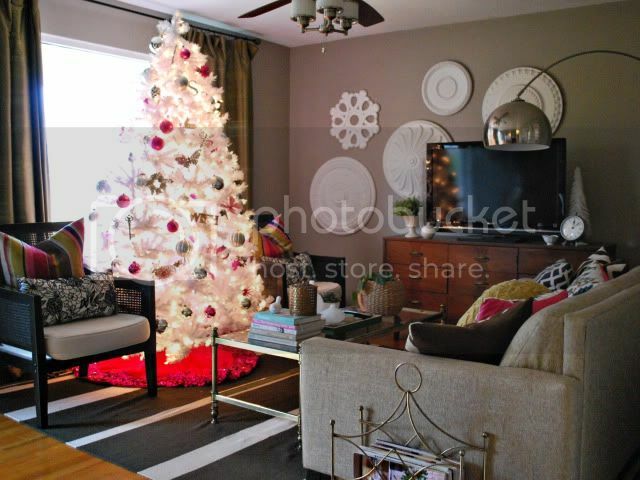 I love that your husband was on board with getting a white tree with pink decorations- he's a keeper! My husband and I have a tradition of watching Home Alone when we decorate the tree- I love that every year we do the same thing! Everything is so pretty! I really like all of the white and sparkly things. Your house is looking great. I've always wanted a white tree.